Part One of this post ended with the restoration movement’s success in fending off an outright ban on existing alley dwellings in Washington DC. 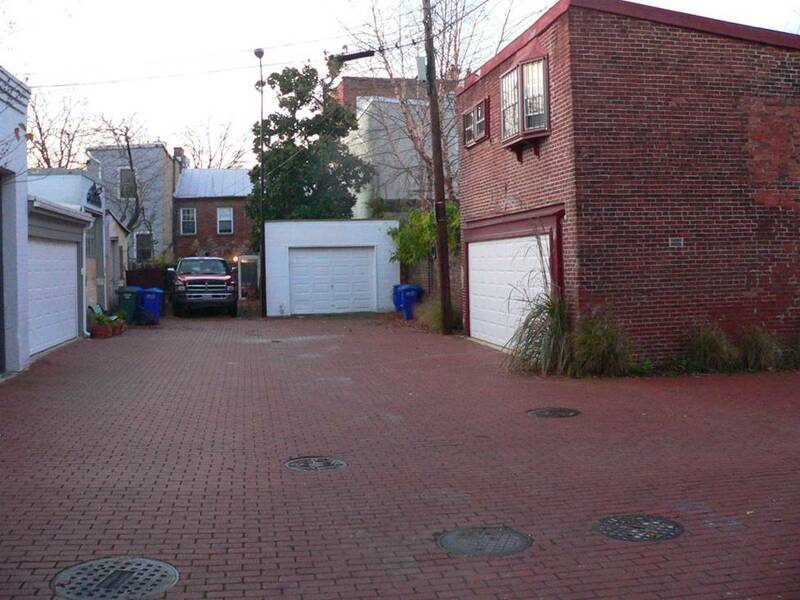 In this follow-up, I’d like to touch upon what has happened with ADUs in DC since then, by looking more closely at one block that was mentioned earlier – Brown’s Court. One of the general provisions of DC’s current zoning is that any nonconforming structure lawfully existing on May 12, 1958, that remains nonconforming, and any use or structure lawfully existing that became nonconforming on May 12, 1958, may be continued, operated, occupied, or maintained. Brown’s Court has many Alley Dwellings could not be built today, but because their “nonconforming uses” pre-date 1958, they are still legal. 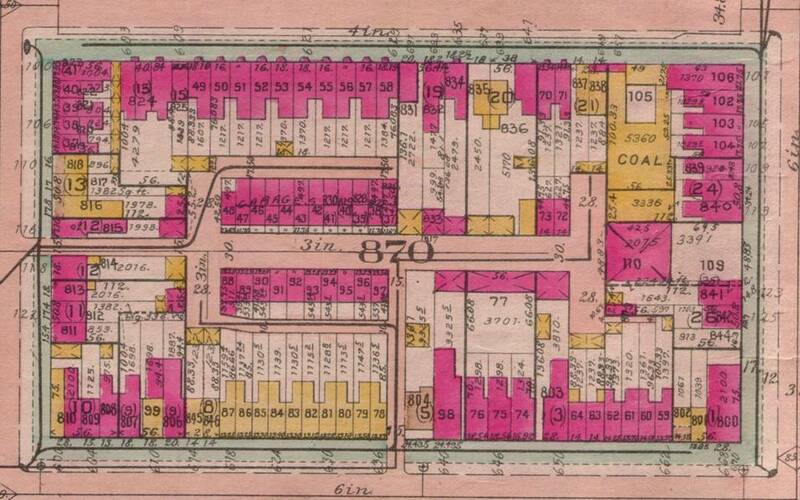 1925 Baist Atlas for Brown’s Court, which shows many of the pre-existing dwellings that faced the Alley. The property I own is the one you can see with the truck parked in the driveway where I had hoped to build my ADU. I was confident that I’d be able to build an ADU there in part because of what other owners had been permitted to do with their properties in Browns Court. 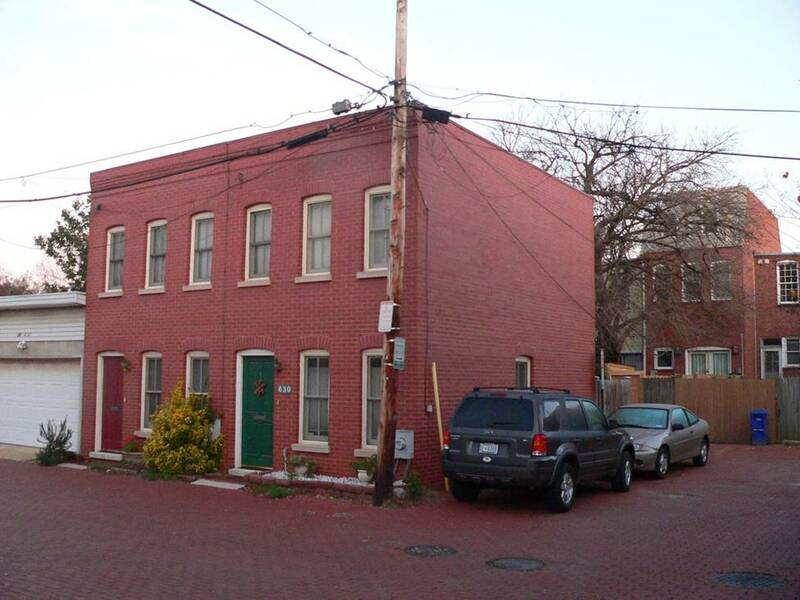 In 1983 one resident was granted a variance to transform a single story non-residential building originally built as a warehouse – into the two story residence shown here. 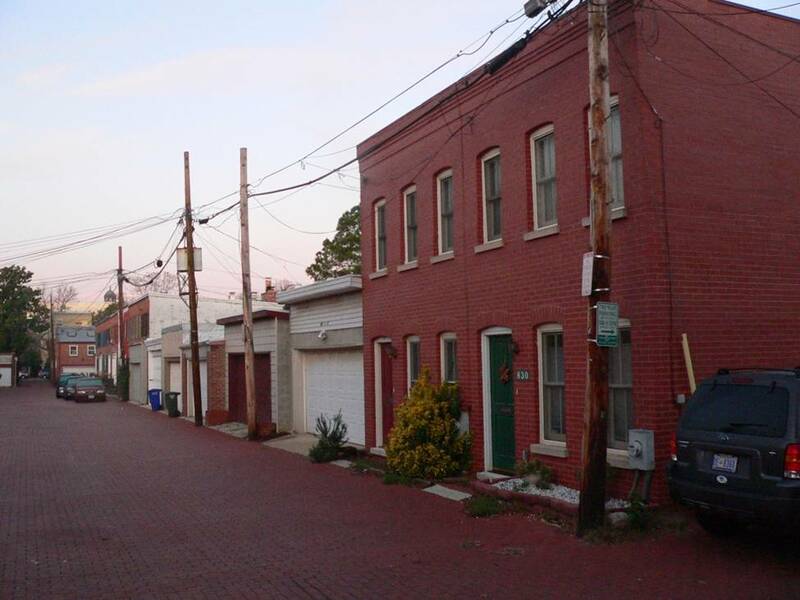 In 1991, other residents were granted the variances they needed to build on two 14’ wide lots that had been subdivided when the original alley dwellings were built further down the court. Though the applicants faced some challenges in the local oversight committee, the Office of Planning and the Historic Preservation Review Board eventually recommended approval of the application, and the Board Granted it. This is what those Alley Dwellings look like today. This is what those Alley Dwellings look like today. 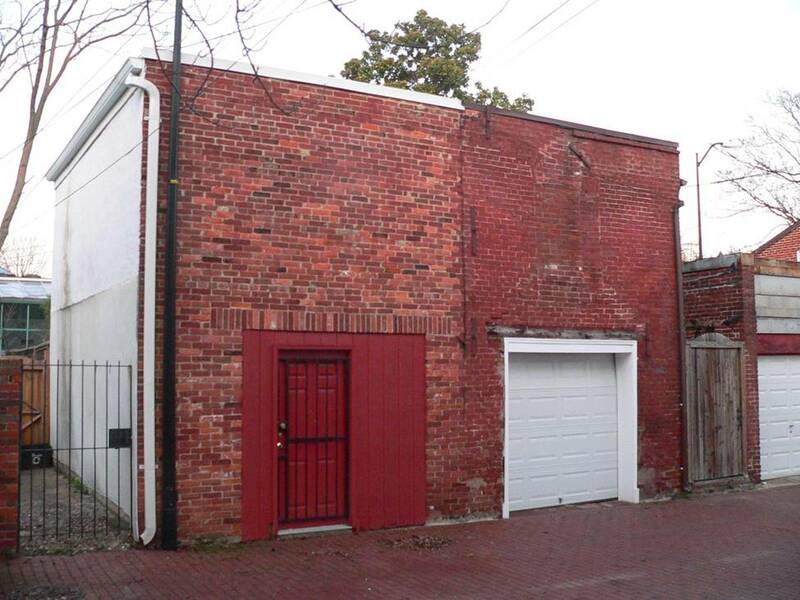 Fast forward to the 2000s — the property I owned had approved plans that had gone through DC’s Board of Zoning Adjudication and received a special exception that would have permitted the former owner to more than double the size of the existing home with a rear addition. These plans involved demolishing most of the historic structure, preserving only the front façade of the historic home. After living in the house for a year, I began working with the same architect who had drawn up those home expansion plans, to instead draw up new plans that would keep the existing historic home just as it was, and build a detached dwelling with living quarters where there had been one historically. The design was smaller than the previously approved rear addition, and it kept the existing 1860 home totally intact. It had support of the adjacent neighbors and our local Advisory Neighborhood Commission and I even received a nice letter of support from the Historic Preservation Review Board. But the Office of Policy indicated in a draft letter that they would oppose our application, and the Capital Hill Restoration Society said the same thing. They would not support a variance. The opposition from the City’s Office of Planning surprised me, since their director is a great champion of the Smart Growth and New Urbanism movement. These movements have advocated limiting automobile dependency and improving the quality of life by creating inclusive communities that provide a wide range of housing choices. I thought this would translate to an interpretation of the flexibility inherent in the zoning, consistent with the history of Brown’s Court. But in Washington, DC, it appears as if smart growth advocates tend to prefer a high density, transit-oriented, mixed use (if not mixed income) housing approach, with most of their work going into large planned development and infill projects, like these pictured below. I am all for these projects, but I am concerned about what the lack of options for ADUs means for places like Brown’s Court. 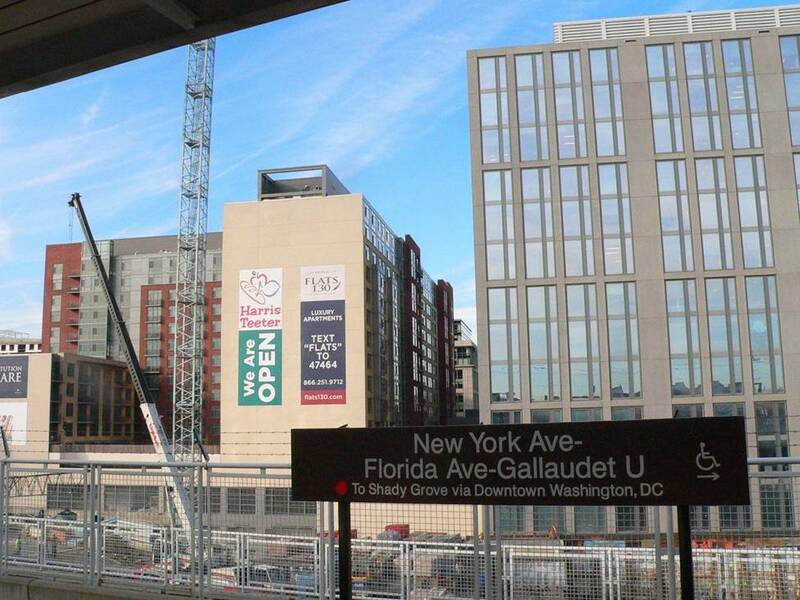 High density, transit-oriented, mixed use housing project in Washington DC. In the face of the opposition from the Office of Policy, my architect persuaded me to hire a land use attorney. She worked helped us develop the following plan, which could be permitted because – with the connection walkway to the existing house — the ADU is now technically a “rear addition”. If there was a predictable path to a permit for an ADU, I would have saved $30,000 in architecture and legal fees. Ultimately, these costs ate up so much of my budget and I was not able to build the permitted plans. Another contribution to scuttling the plans was the cost of the connector, which – while useful as a legal loophole, also would have cost tens of thousands to build in accordance to what the Office of Planning would count as a house. The connector also counts against the allowable ‘lot occupancy’, which effectively reduces the size of the ADU from 14’ by 30′ to 14’ by 23’. 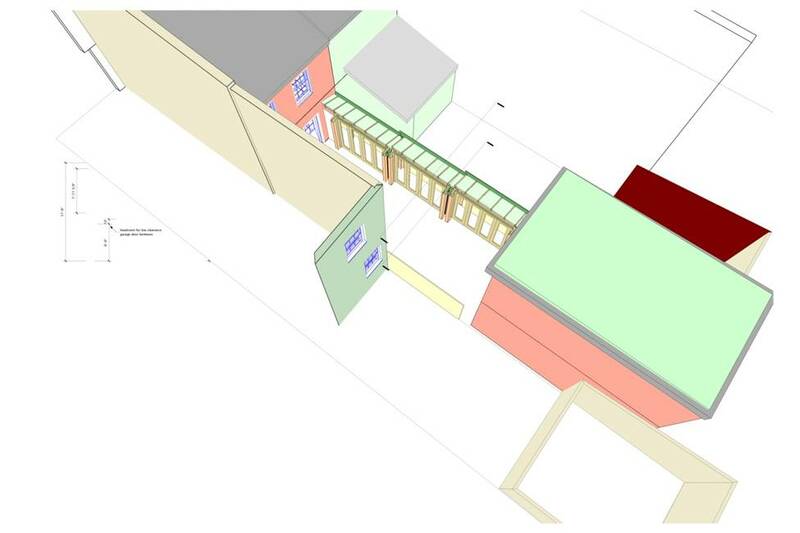 Over time, with no changes in zoning to accommodate ADU’s, and rear additions being permitted by right, it is safe to anticipate that existing homes adjacent to the alley will get larger and more expensive. That trend can already be seen in Browns Court, where large rear additions are increasingly common. The owner of this property had hoped to build a guest room over his garage, but was opposed, so he built the rear addition with a new third floor, which was approved. No one is allowed to live in this place because it’s not zoned for residential. Thousands of people in DC rent out their basements illegally, without getting a Certificate of Occupancy, because they can do the renovations on the sly. But building an ADU is not something that can fly under the radar. So without changes in zoning, we are unlikely to see a lot of ADUs in the Nations Capitol. 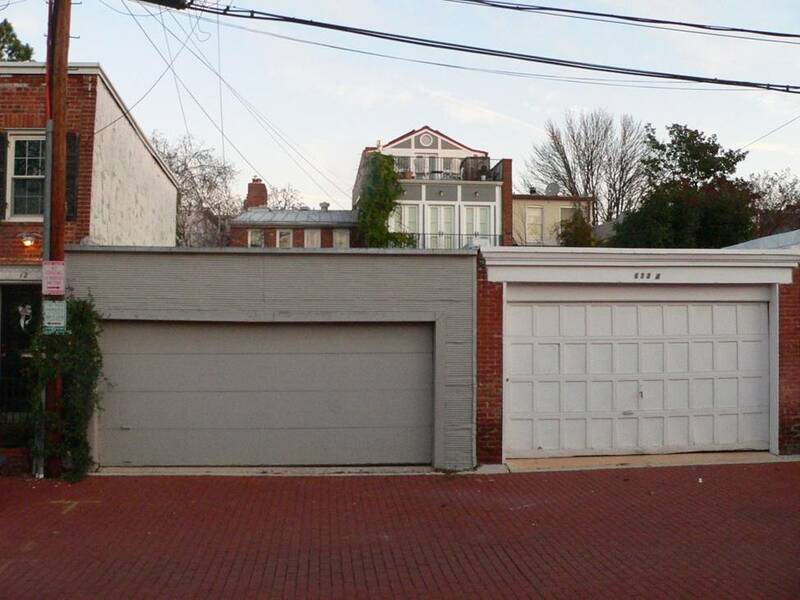 What we will have, in all of the alleys that once housed the Districts working class, are garages that will provide fancier habitat for cars behind larger homes with less historic fabric. 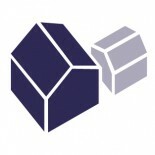 On the other hand, if DC invested a fraction of the level of effort that goes into approving new planned unit developments, and identified alleys where ADUs could be built in place of – or on top of – garages, many people would choose to build in the same occupied Alleys that James Borchert wrote about. 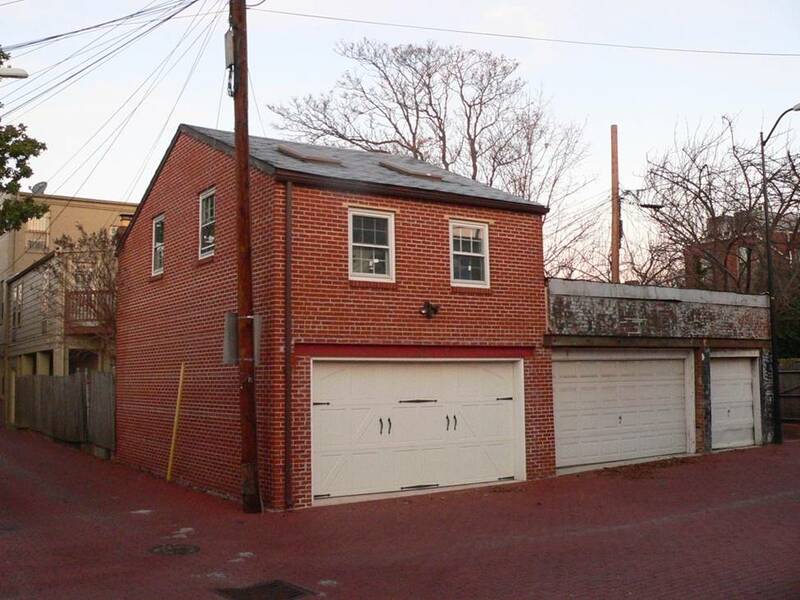 If anyone wants to take advantage of the investment I have already made in that nice little piece of property and build a little Accessory Dwelling six blocks from the capitol – right across from DC’s Eastern Market – email me a proposal. 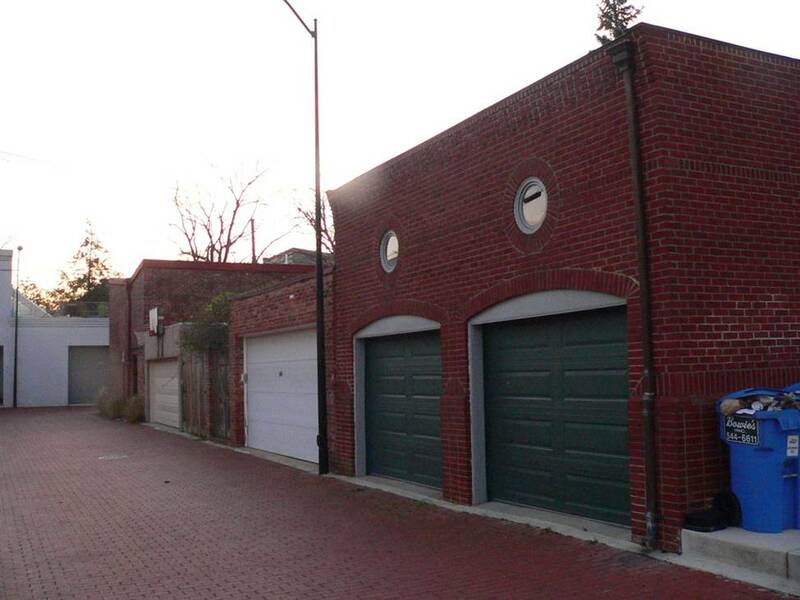 I’d love to support a project that can help promote a growing awareness and acceptance of re-building a residential pattern that once existed in DC – before the automobile, as an inexpensive way to increase the affordable housing supply. Renegade bureaucrat, still seeking the wisdom to know the difference between the things i cannot change and the things i can. Thank you, I was so curious about this. It was helpful to hear your story. I hope DC will consider updating the rules to accommodate projects like your proposal. This entry was posted on December 11, 2011 by Jamal Kadri in Alley, News, Policy & Trends and tagged alley, laneway, permitting, washington dc.